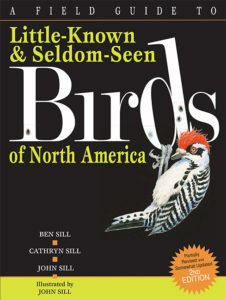 A Field Guide to Little-Known and Seldom-Seen Birds of North America, 2nd Edition – Peachtree Publishing Company Inc.
Bird enthusiasts will love this feather-brained field guide parody! Birders and just about anyone who likes birds will delight in this field guide parody. Thirty-two fabulous new species are depicted in this volume, which features tongue-in-cheek descriptions, observation hints, and range maps, as well as remarkable full-color illustrations. Readers will never look at our feathered friends in the same way after encountering these frequent flyers.